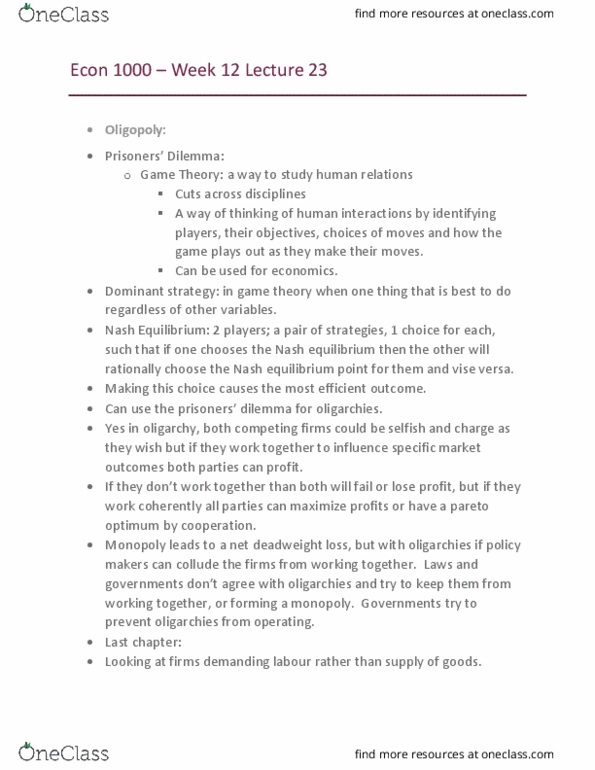 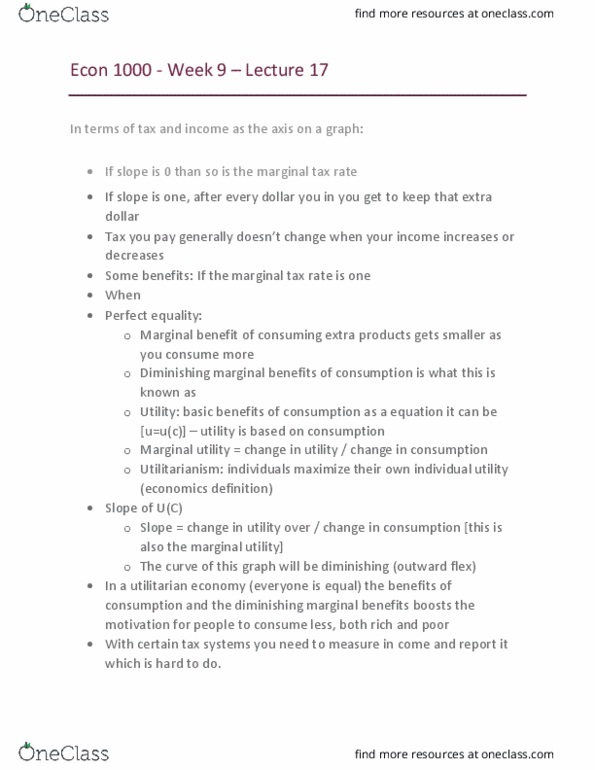 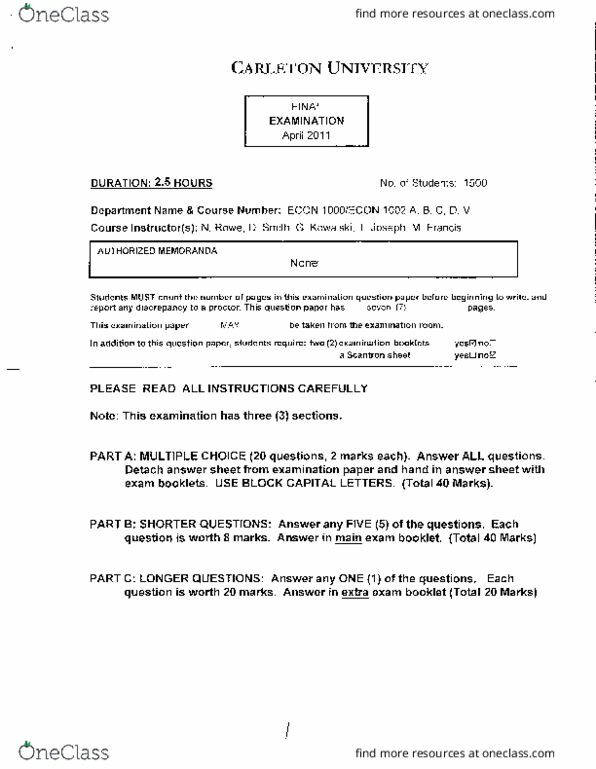 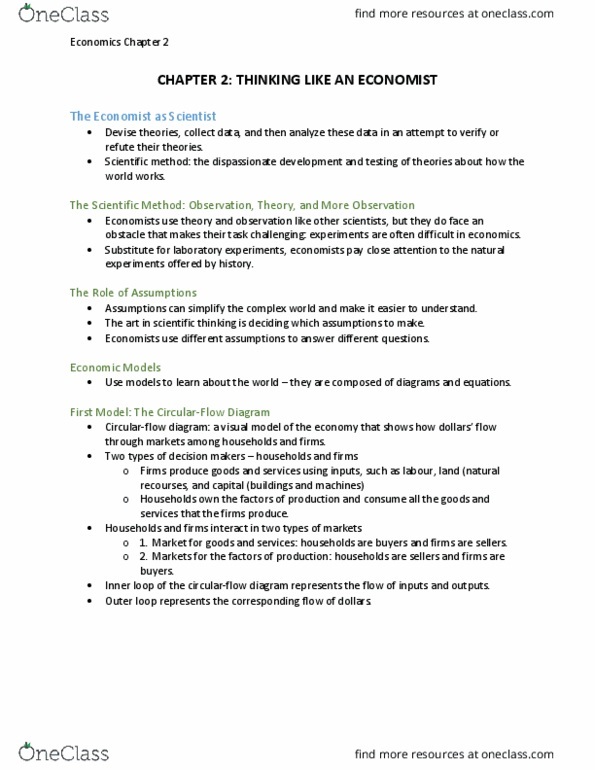 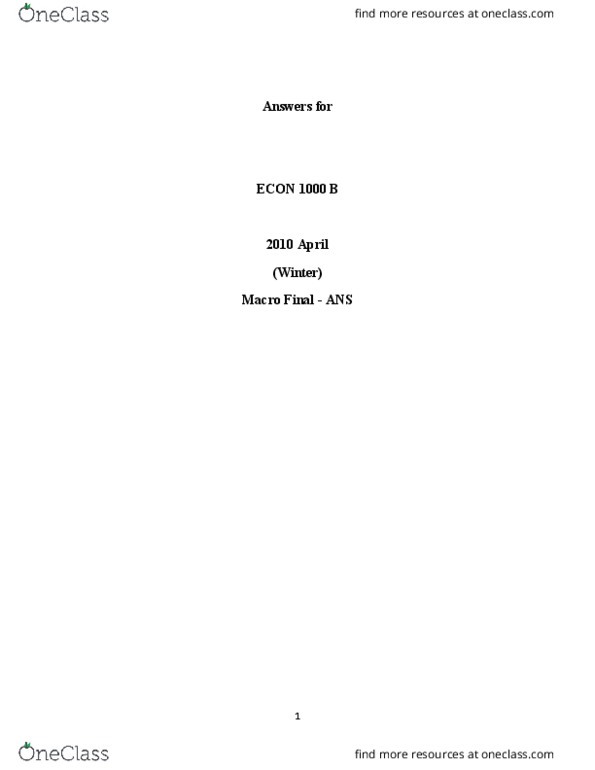 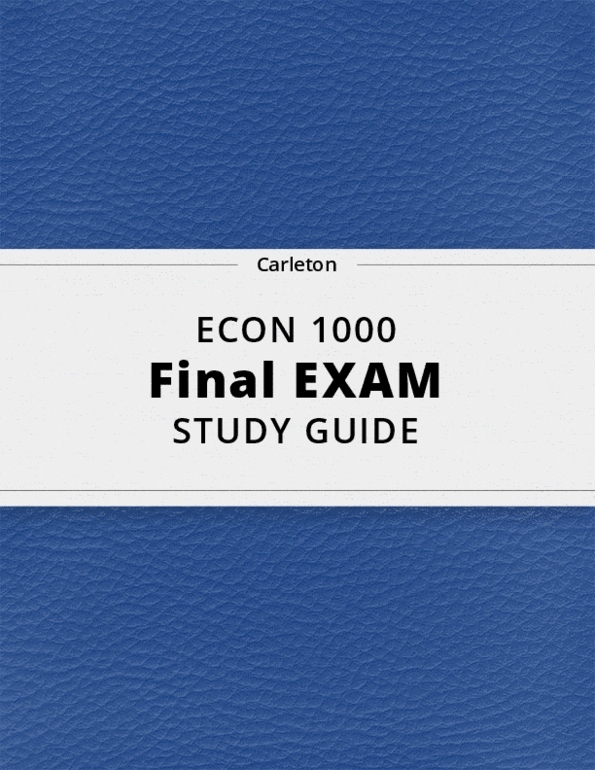 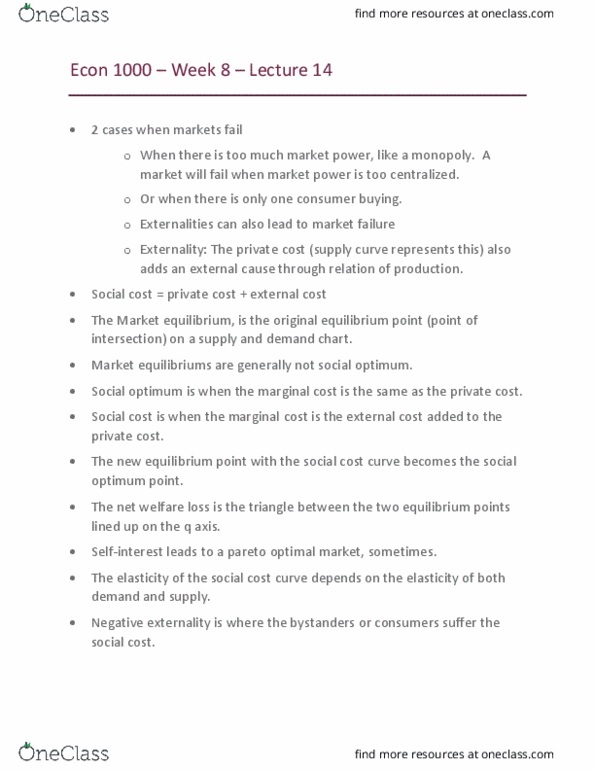 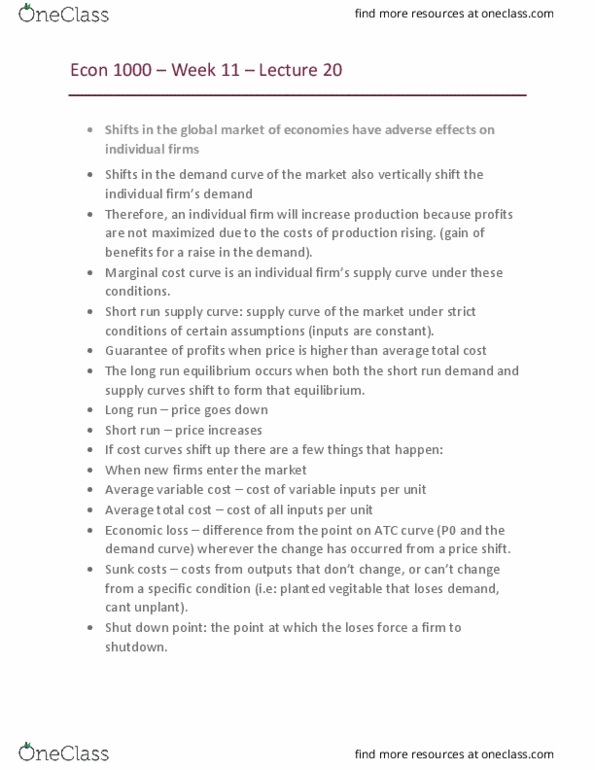 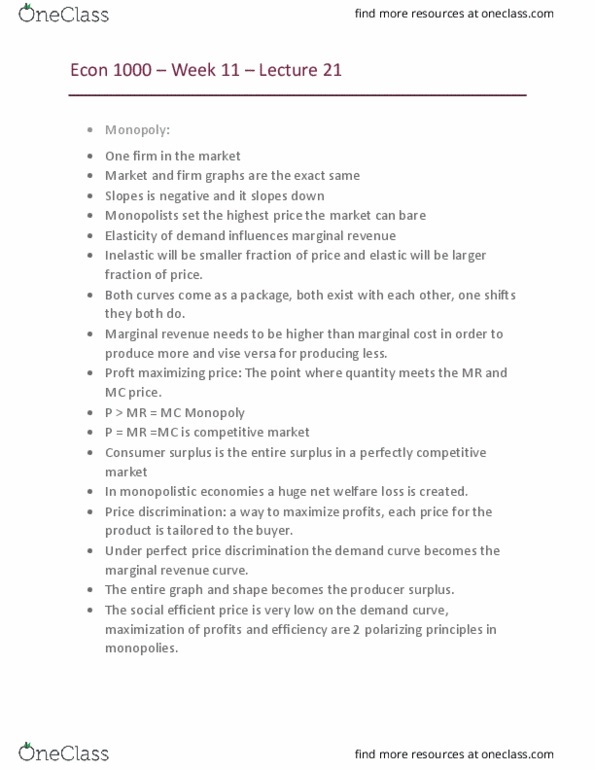 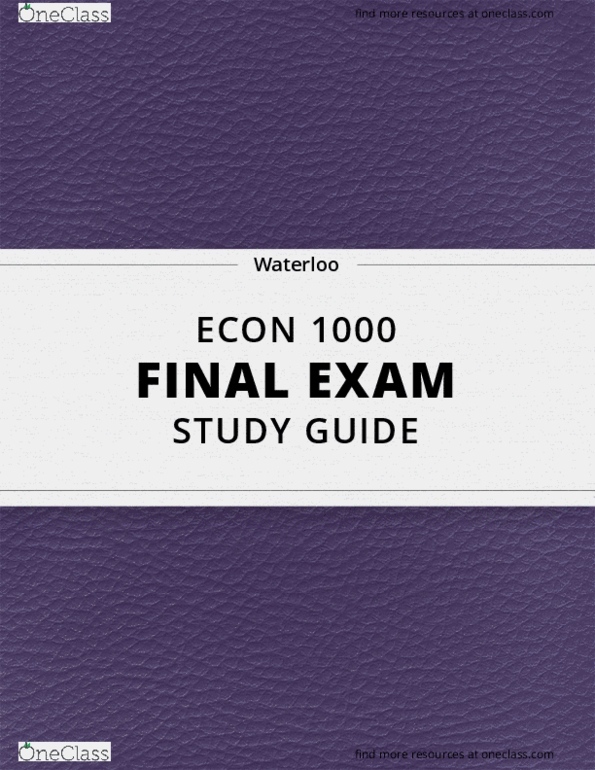 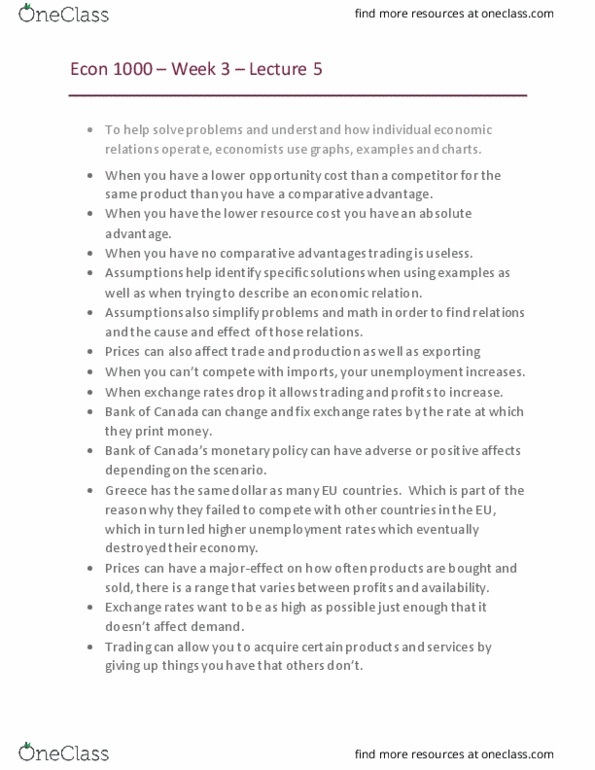 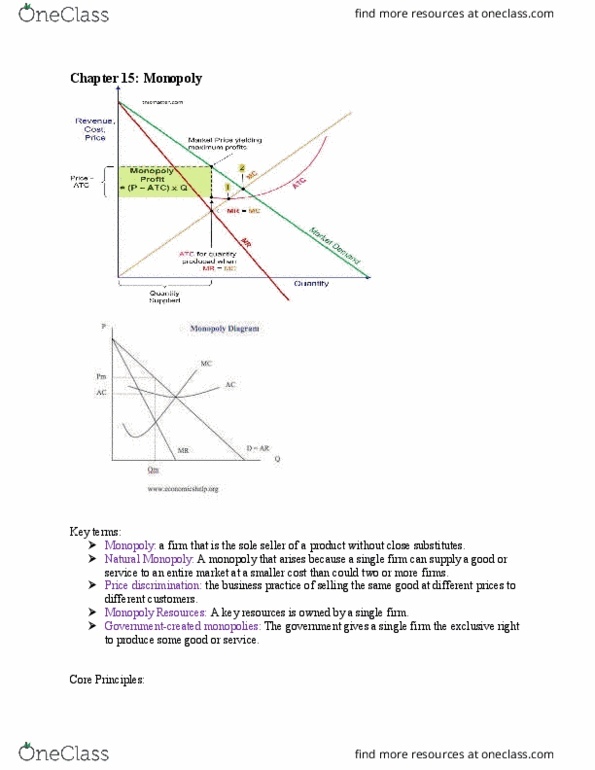 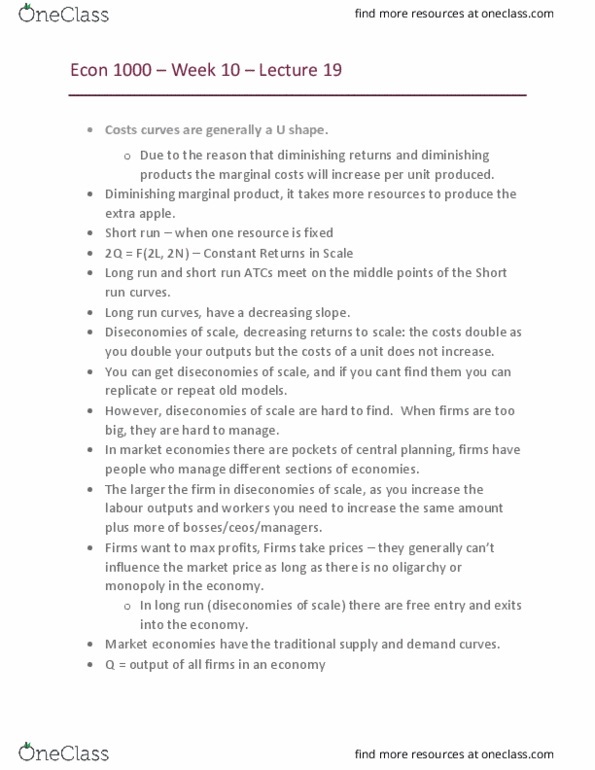 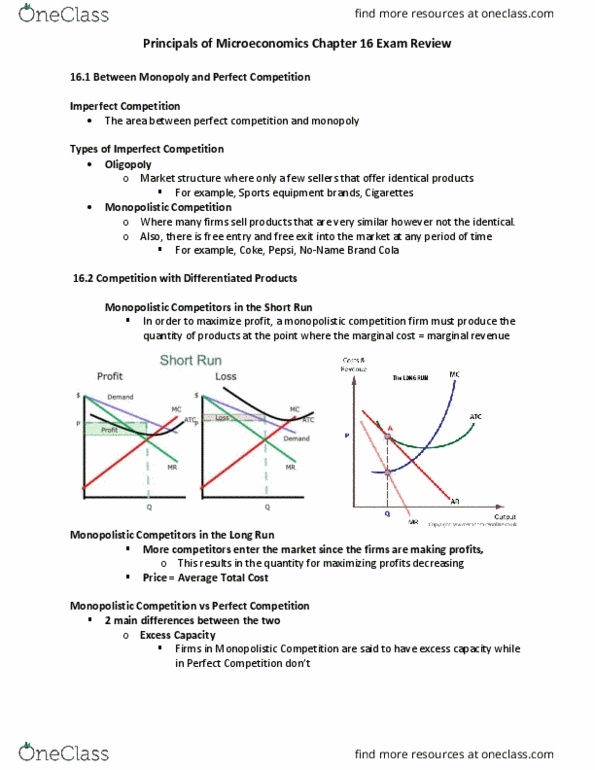 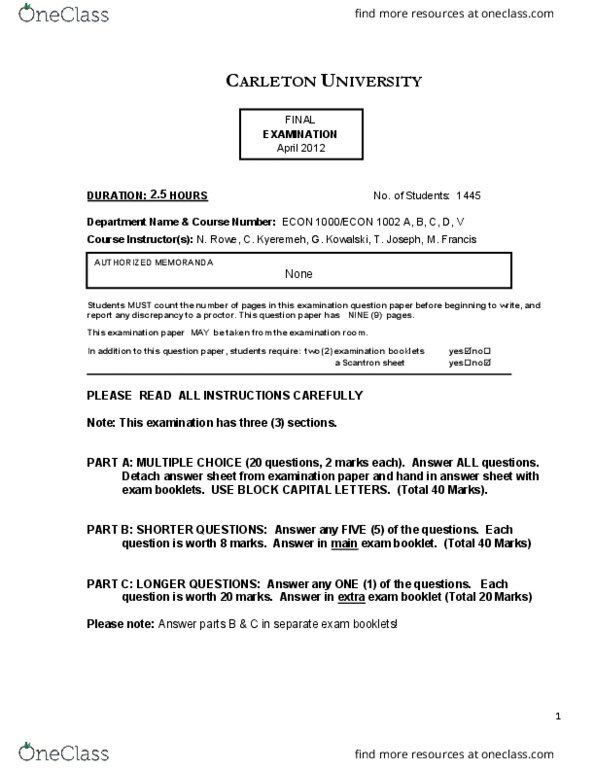 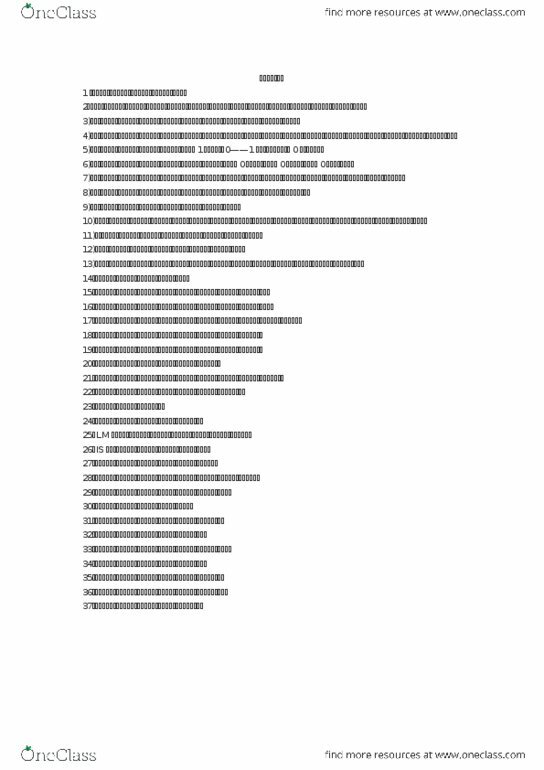 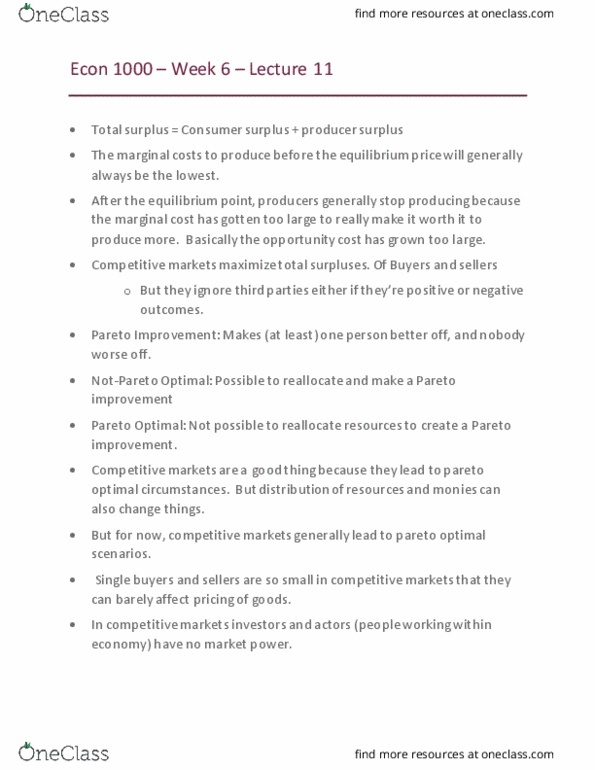 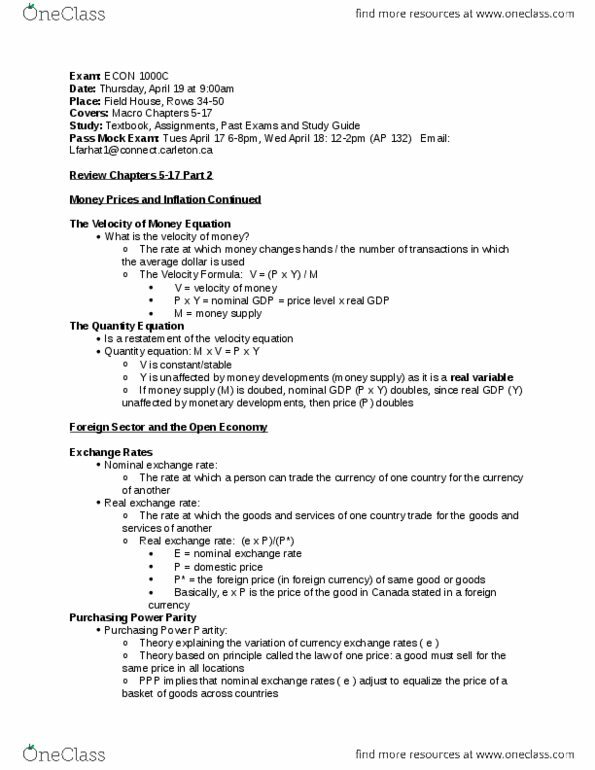 [ECON 1000] - Final Exam Guide - Ultimate 28 pages long Study Guide! 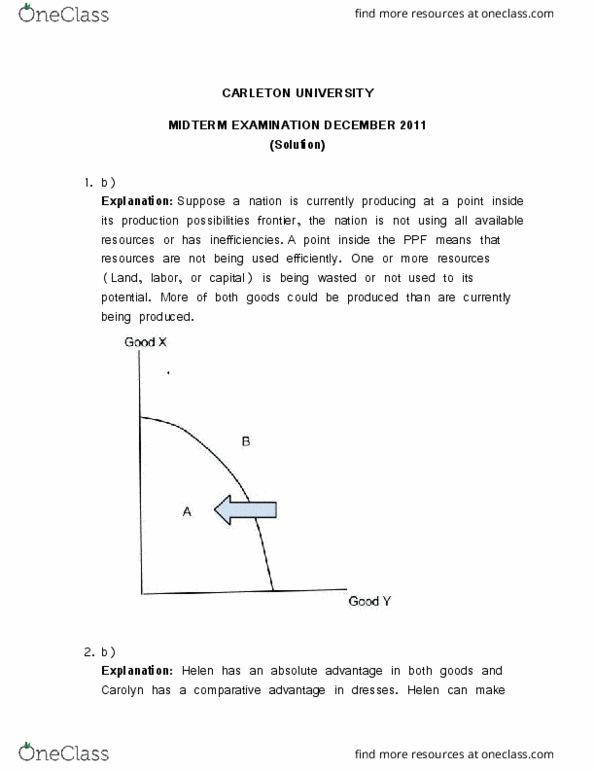 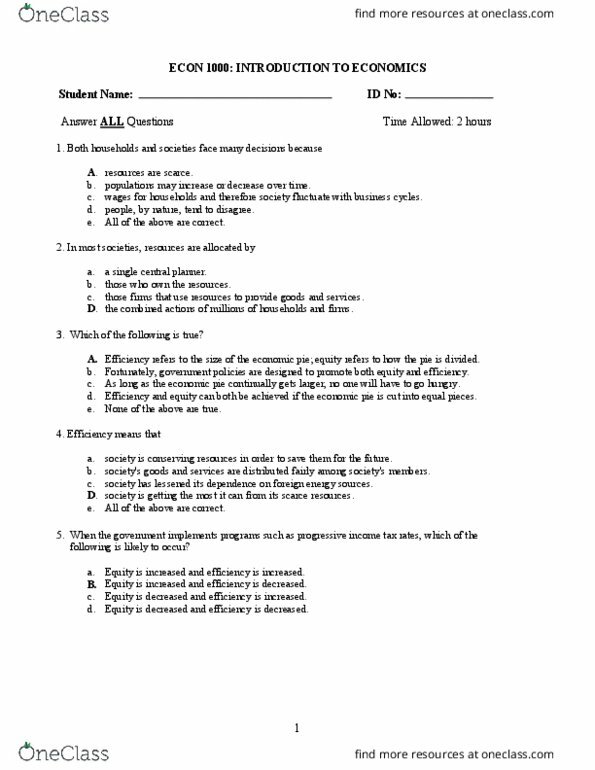 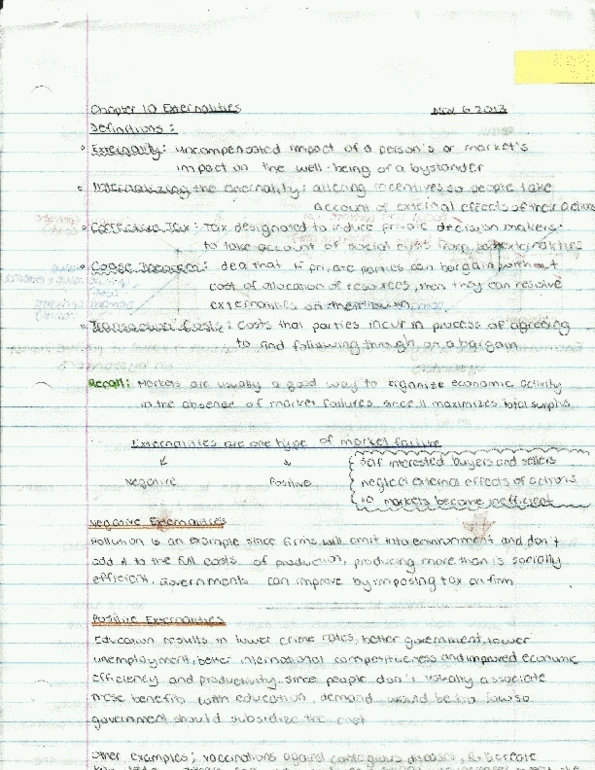 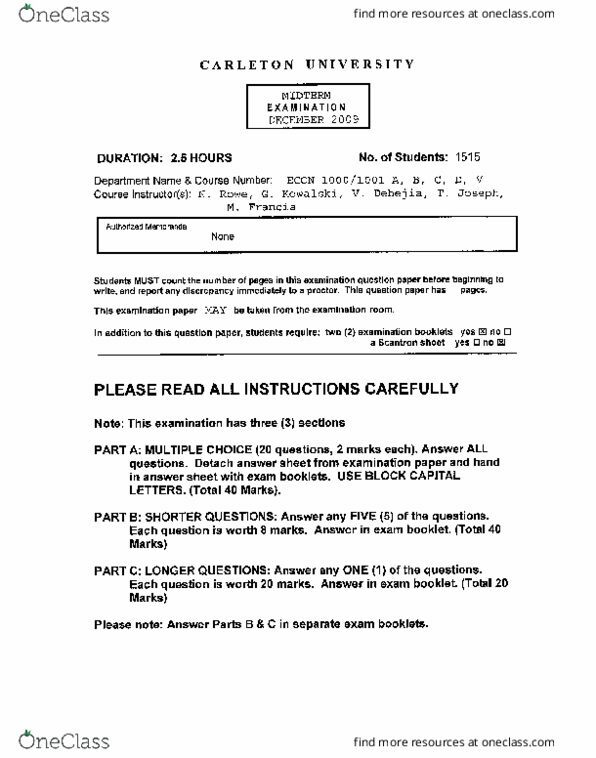 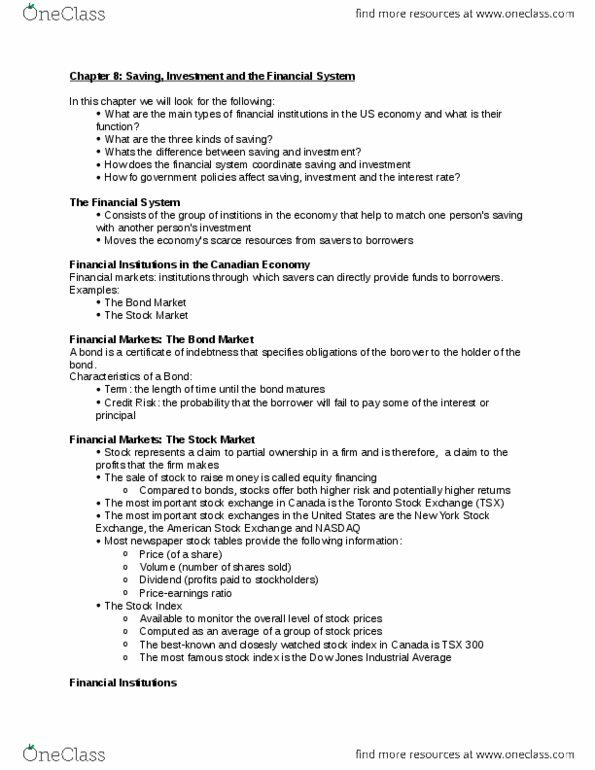 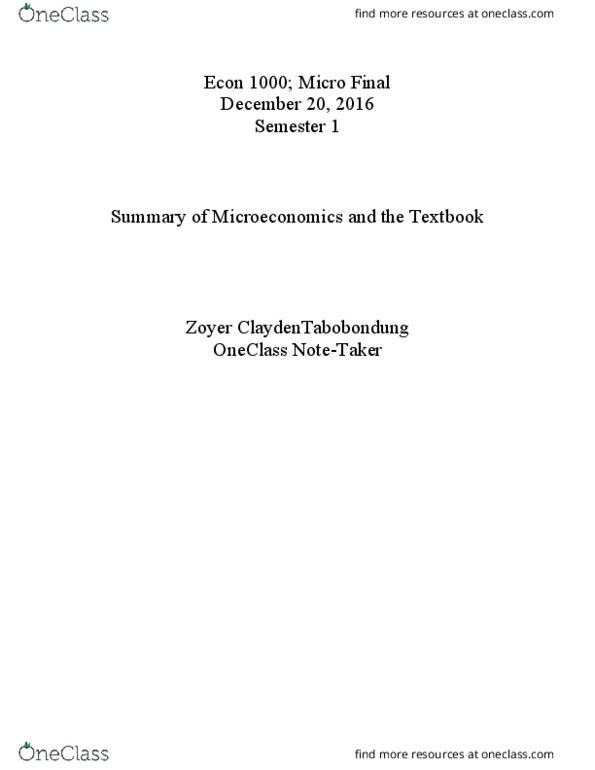 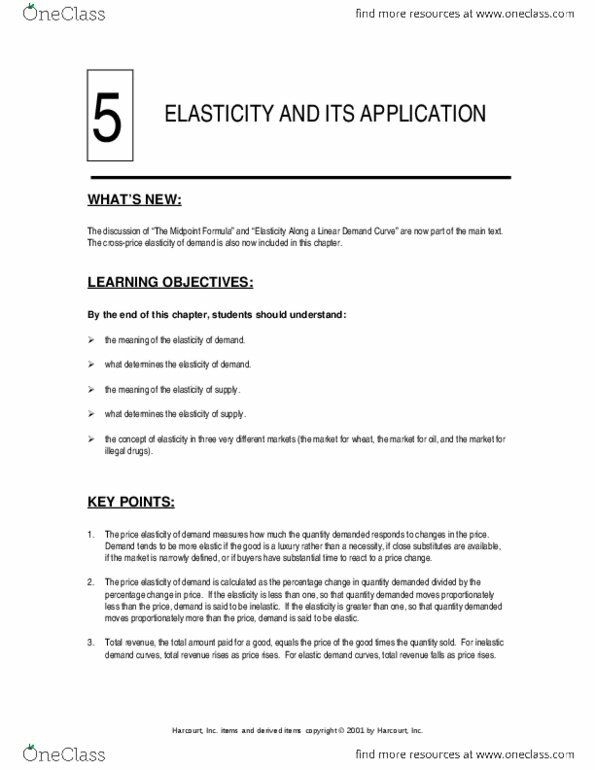 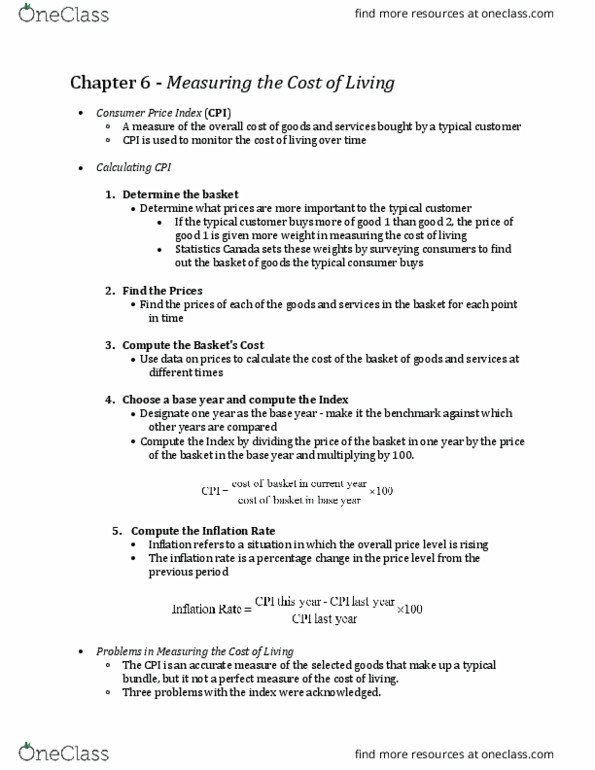 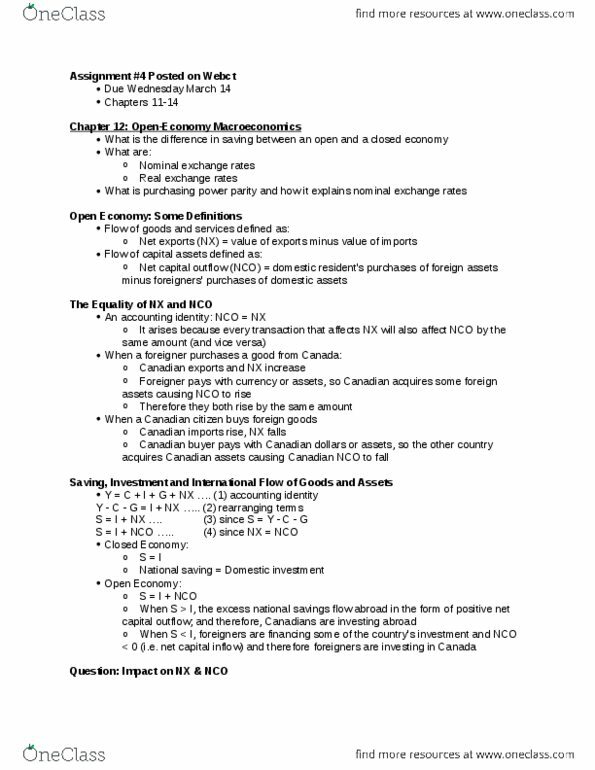 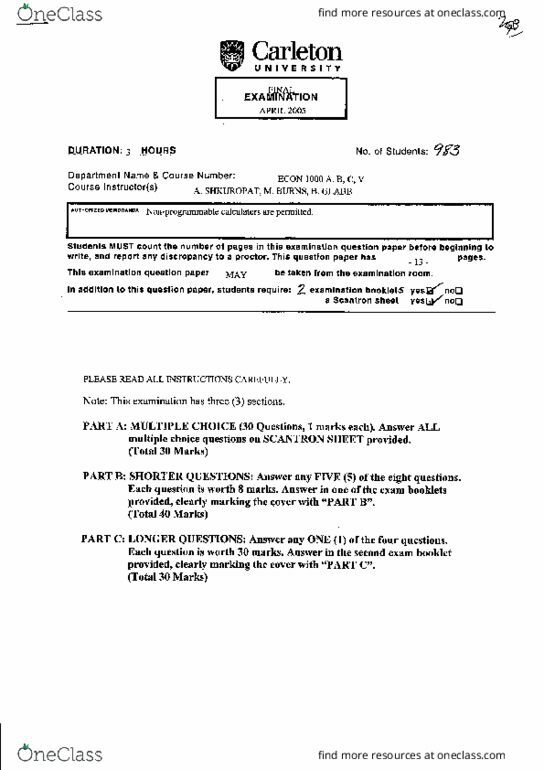 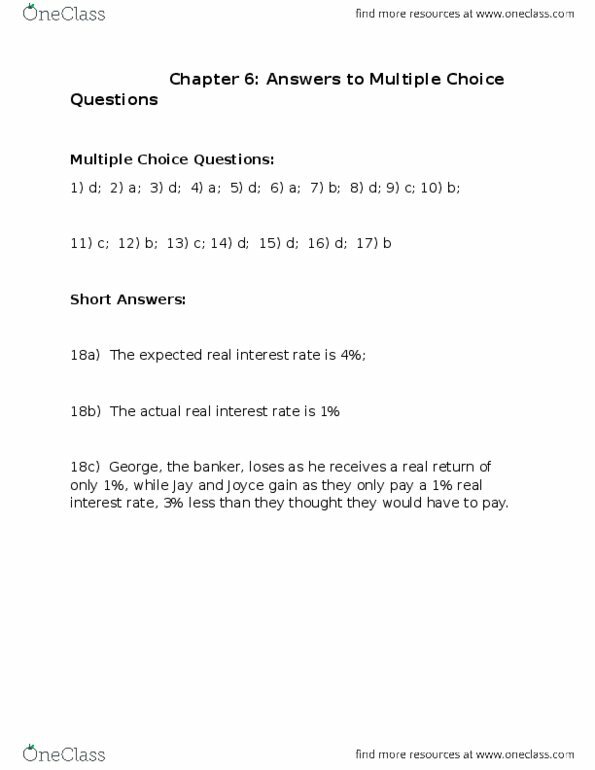 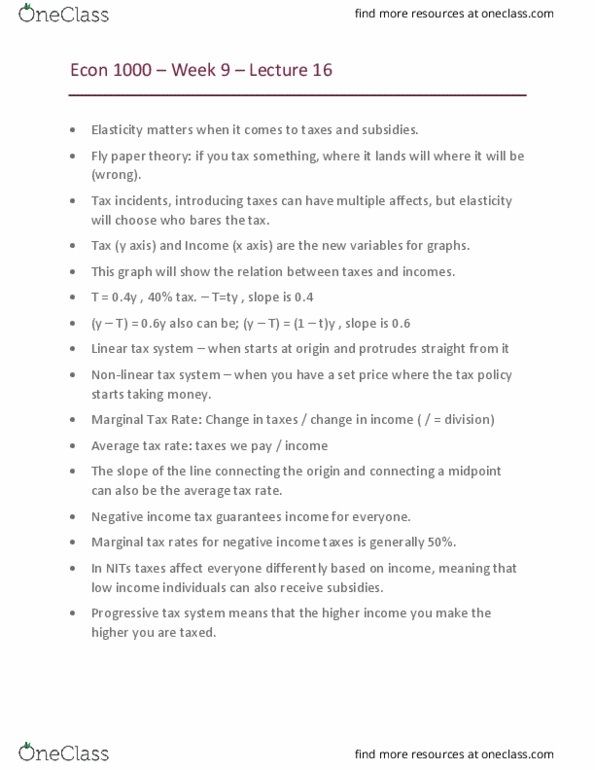 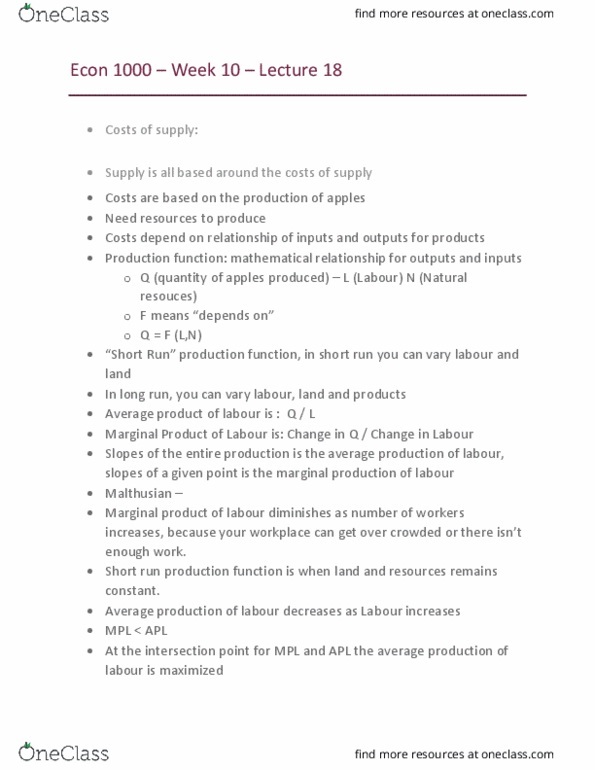 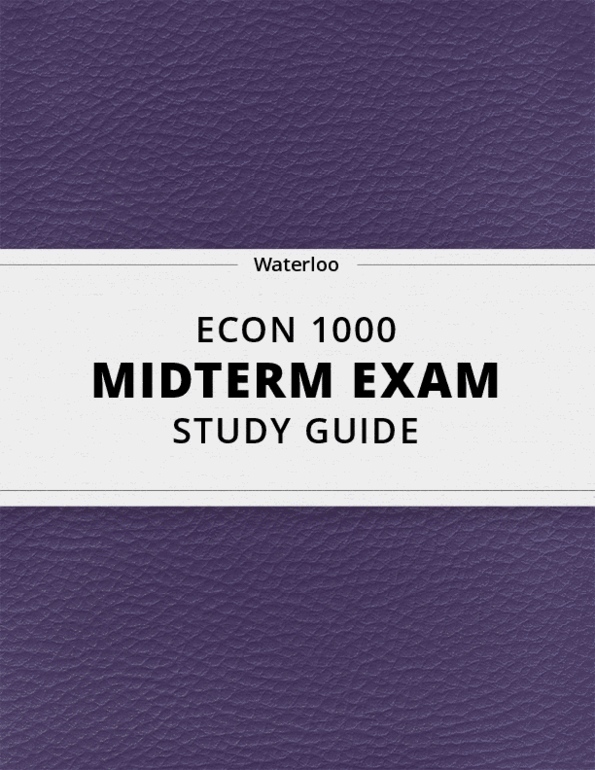 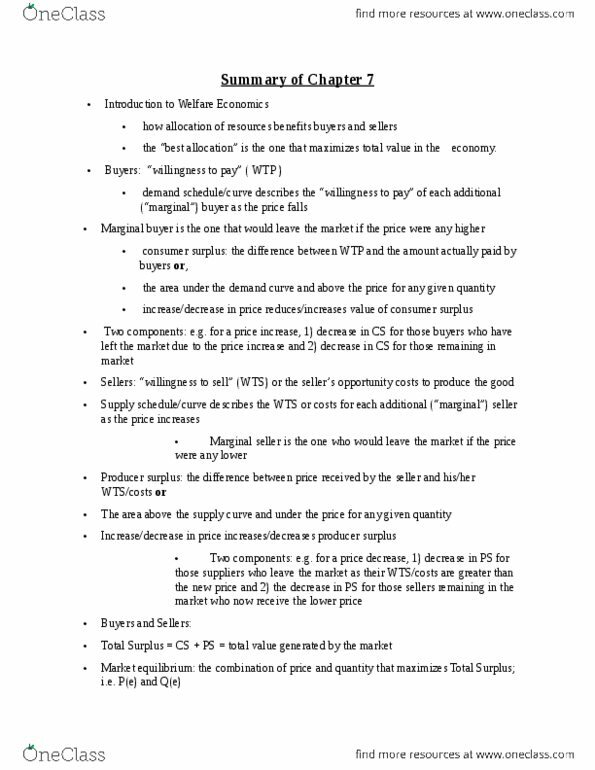 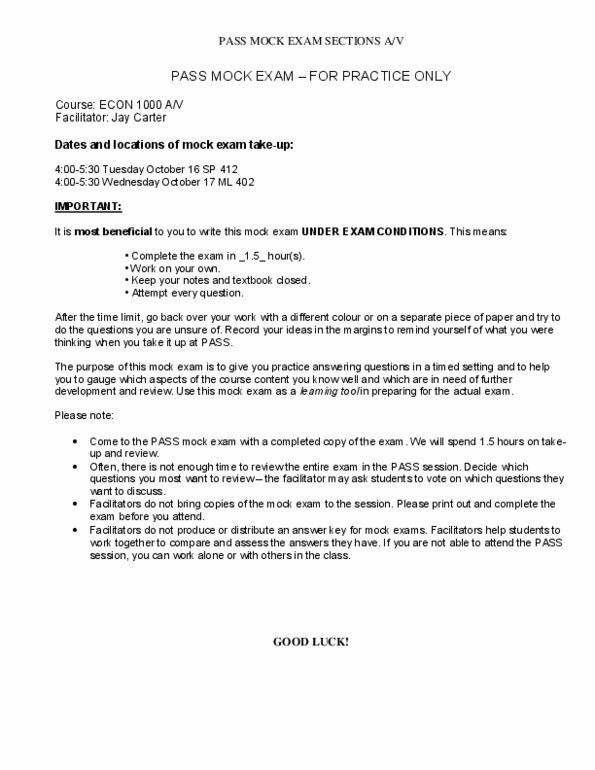 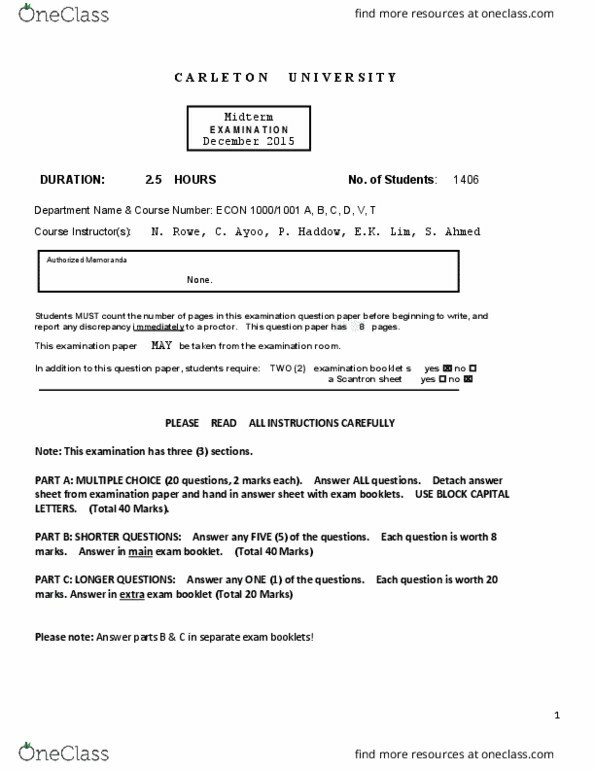 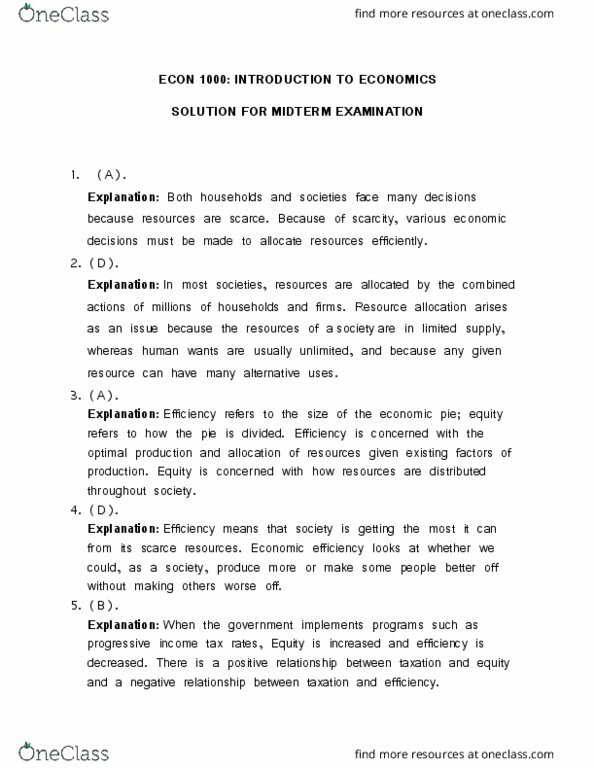 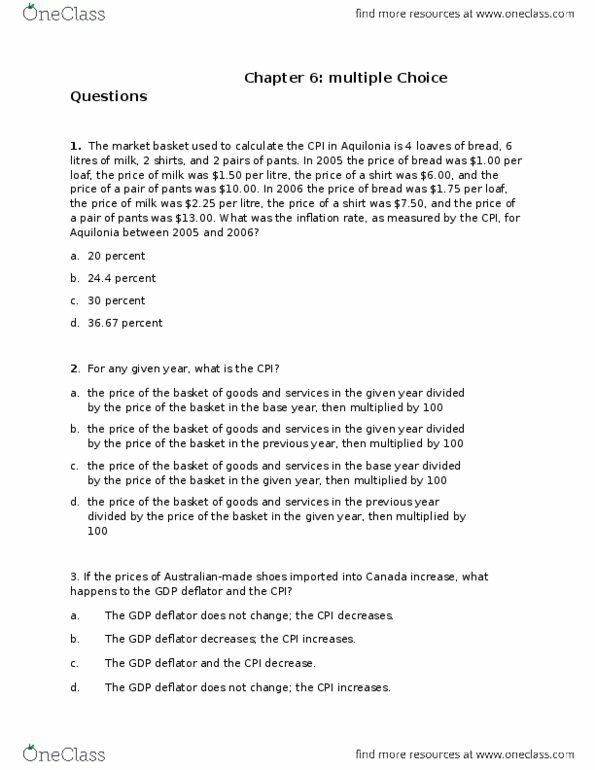 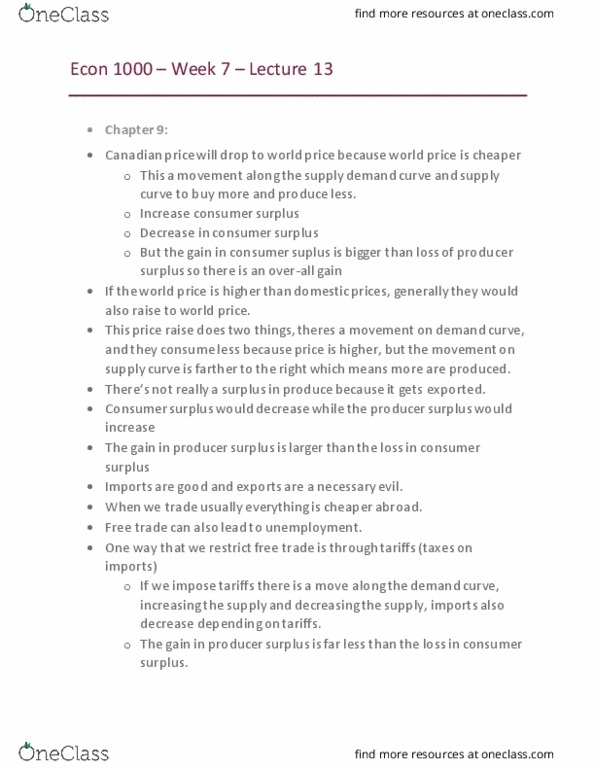 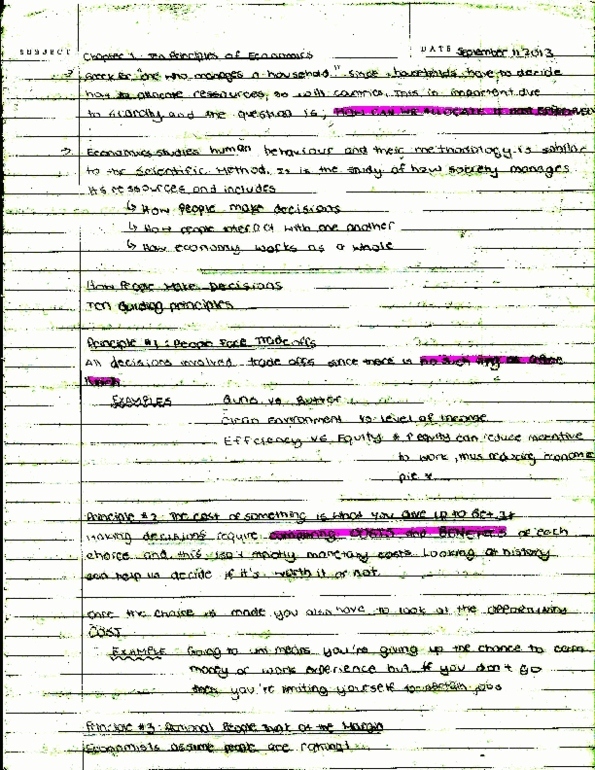 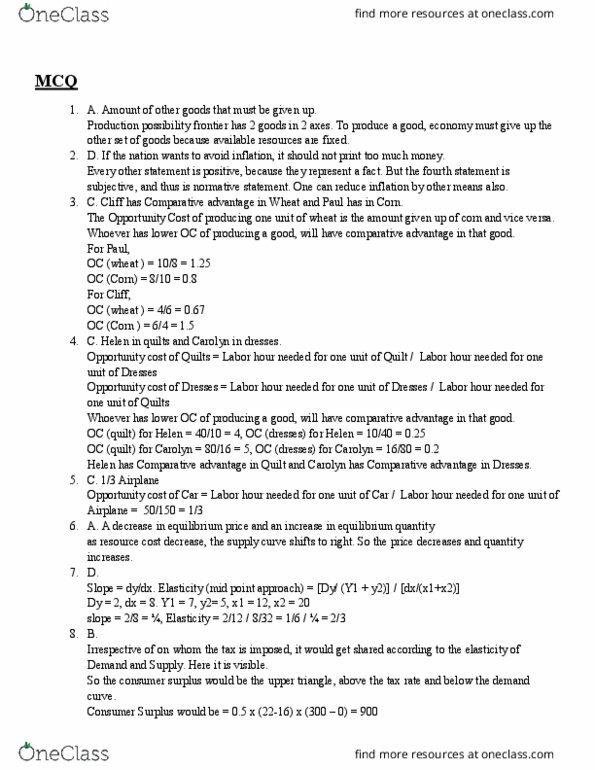 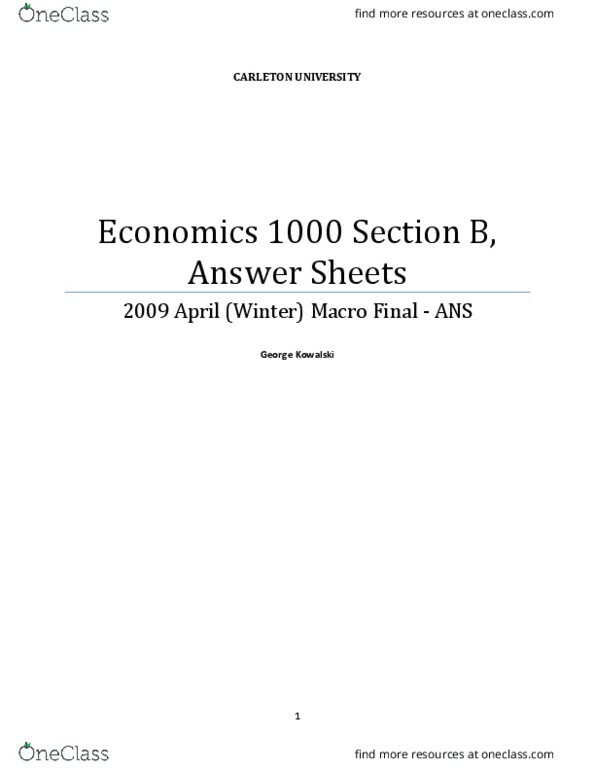 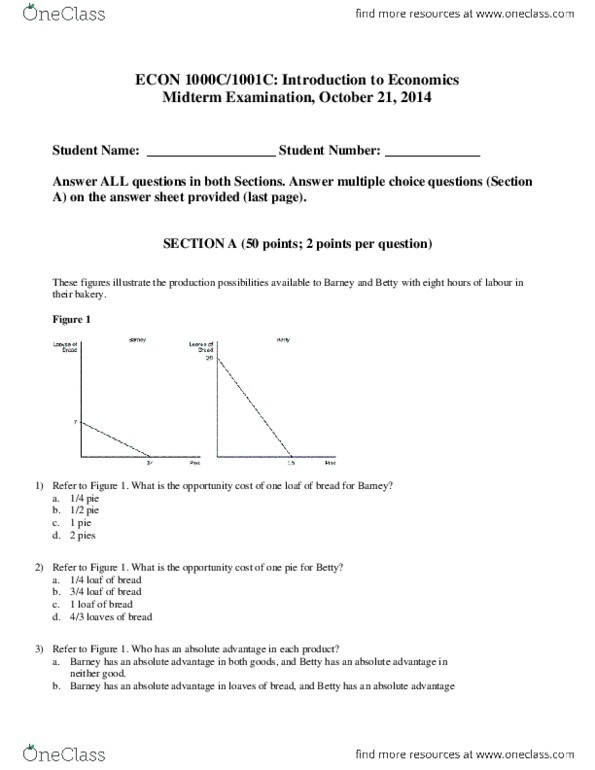 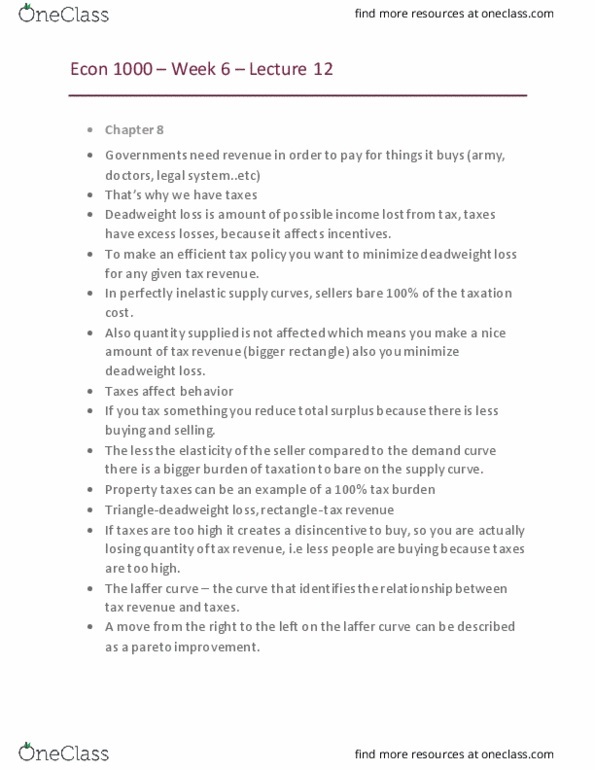 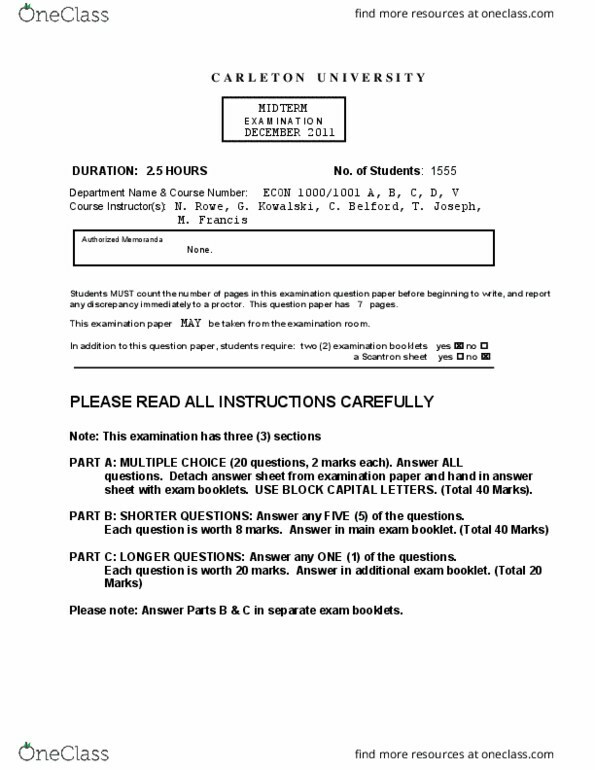 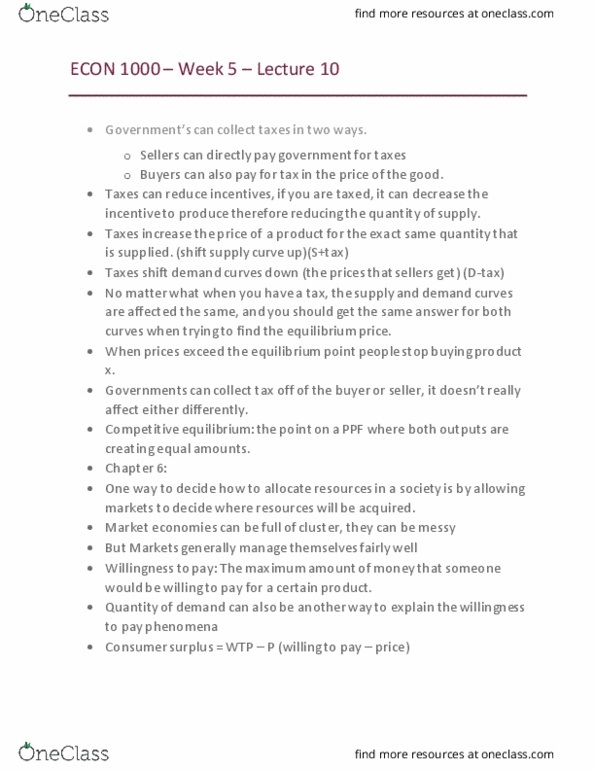 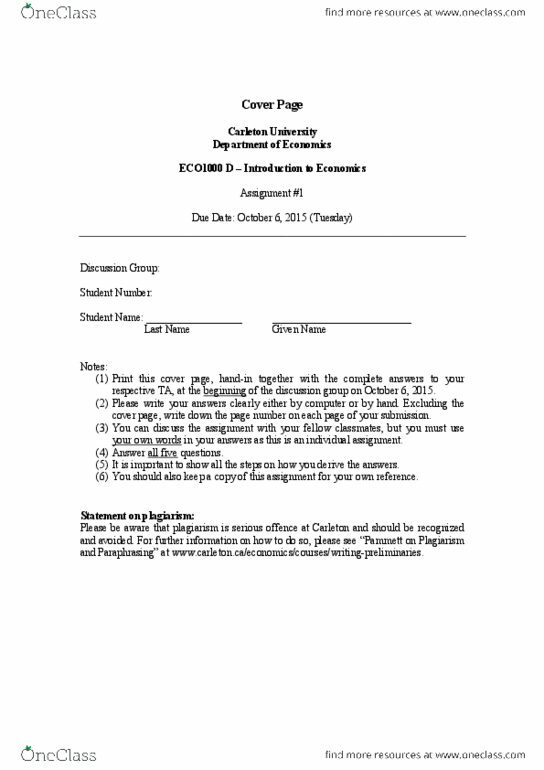 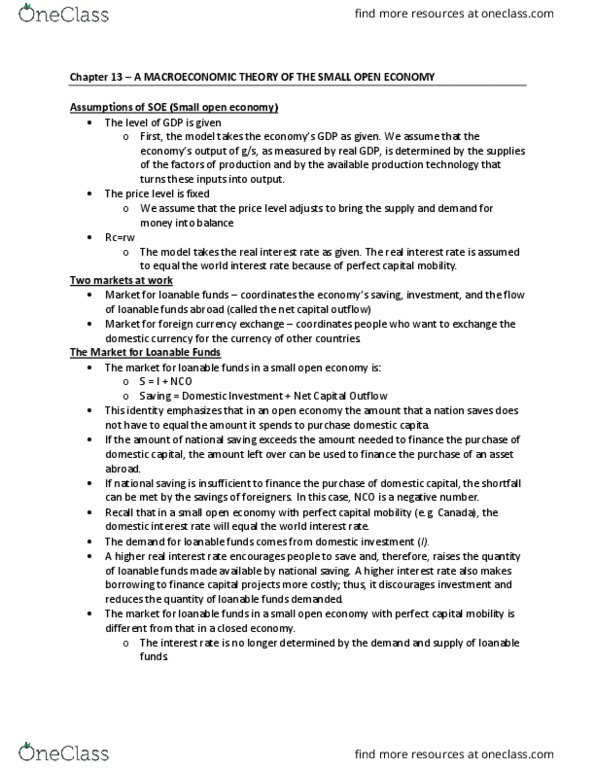 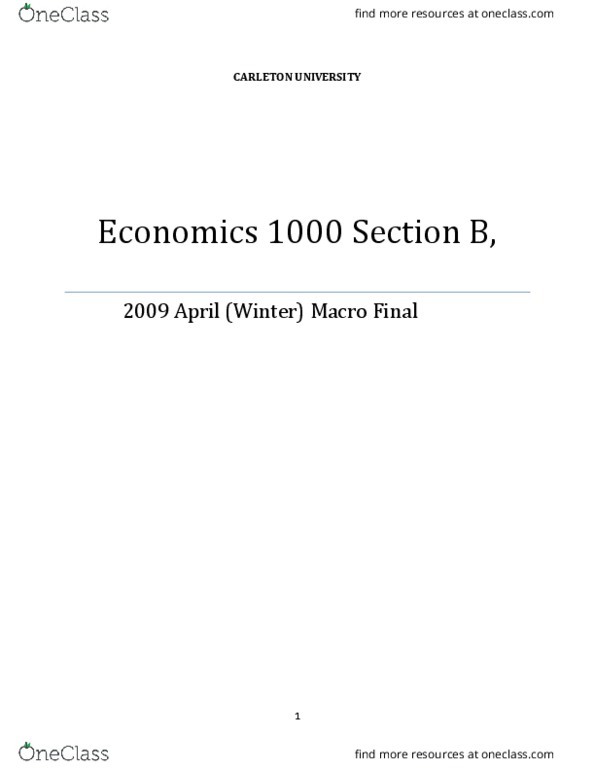 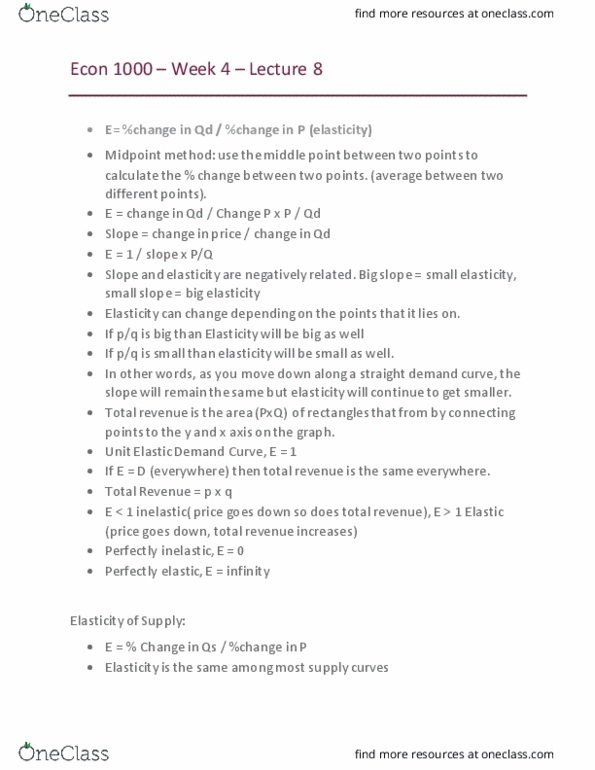 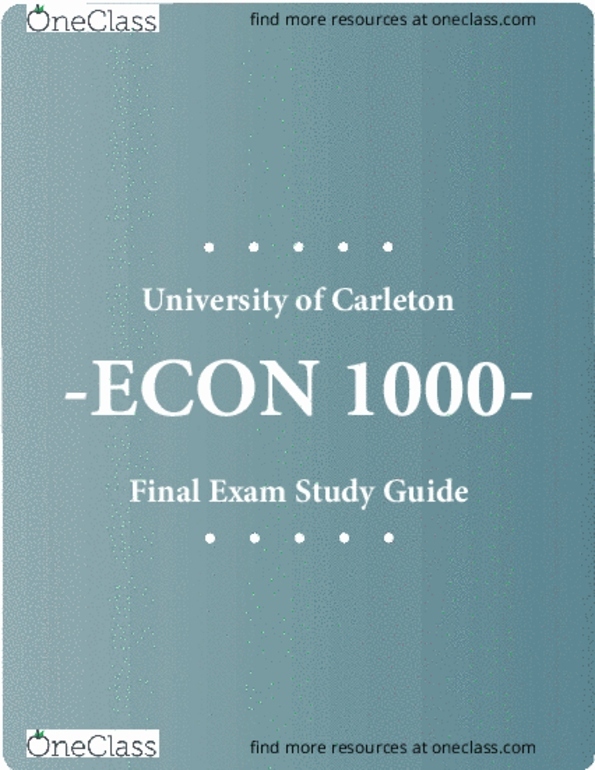 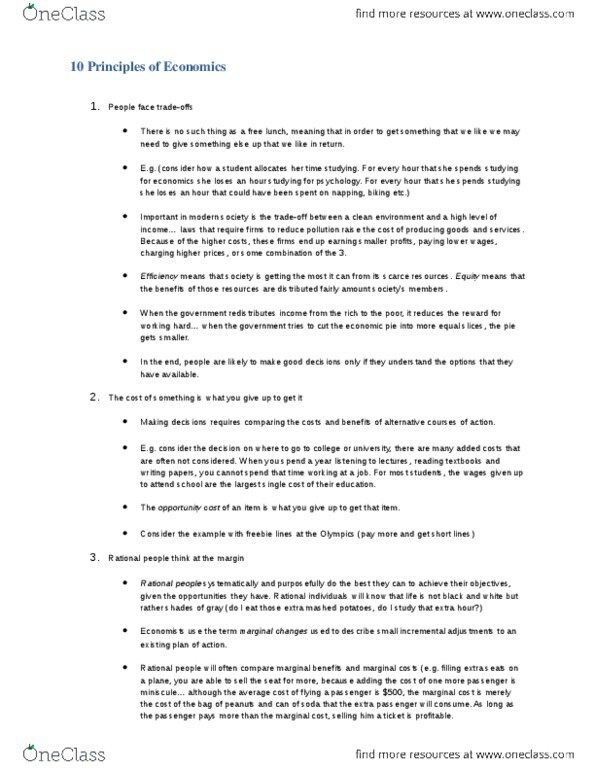 [ECON 1000] - Midterm Exam Guide - Ultimate 13 pages long Study Guide! 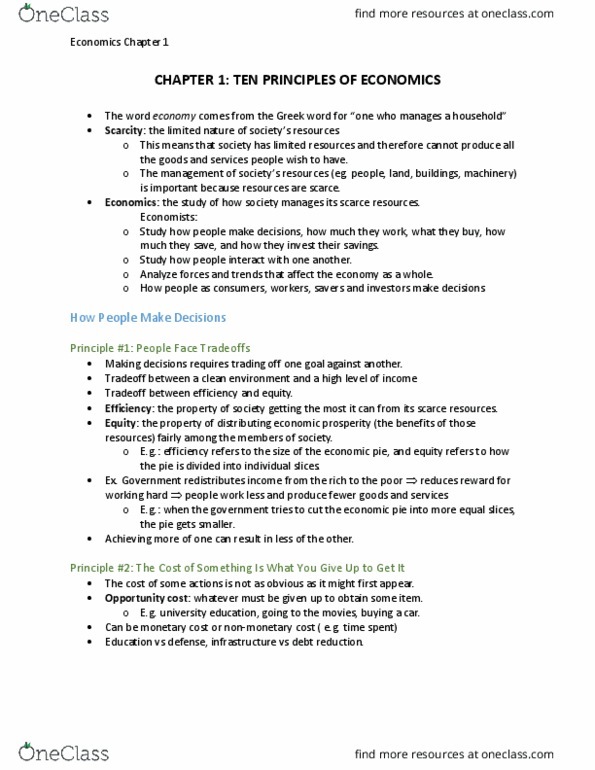 Micro concerned with individual decisions and interaction. 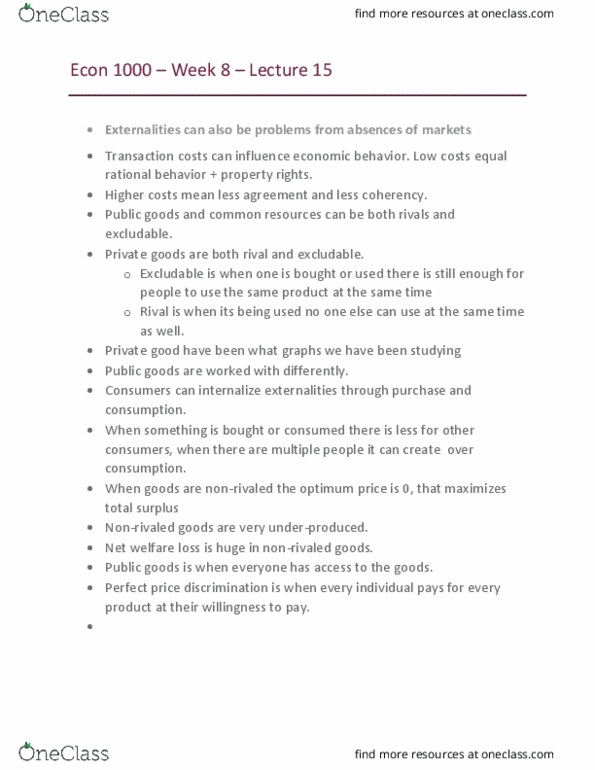 Typically use income to measure individual well-being. 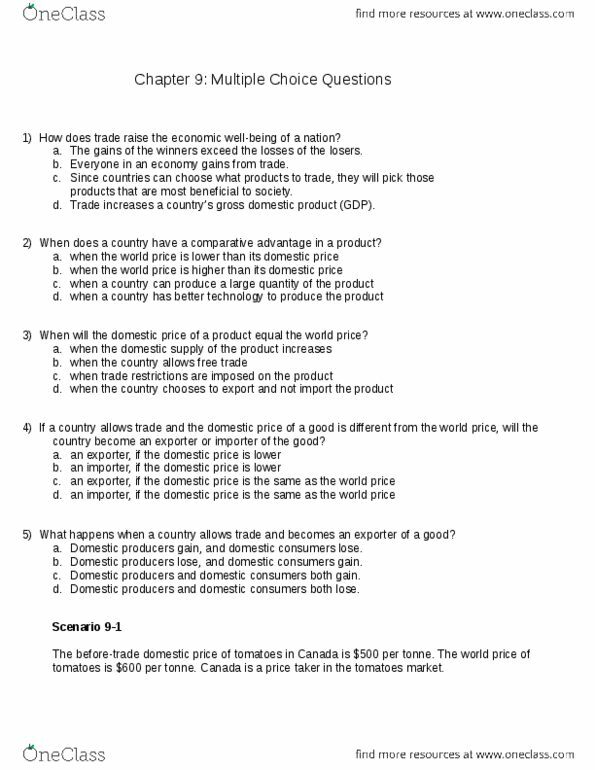 Gdp the same thing for whole economy. 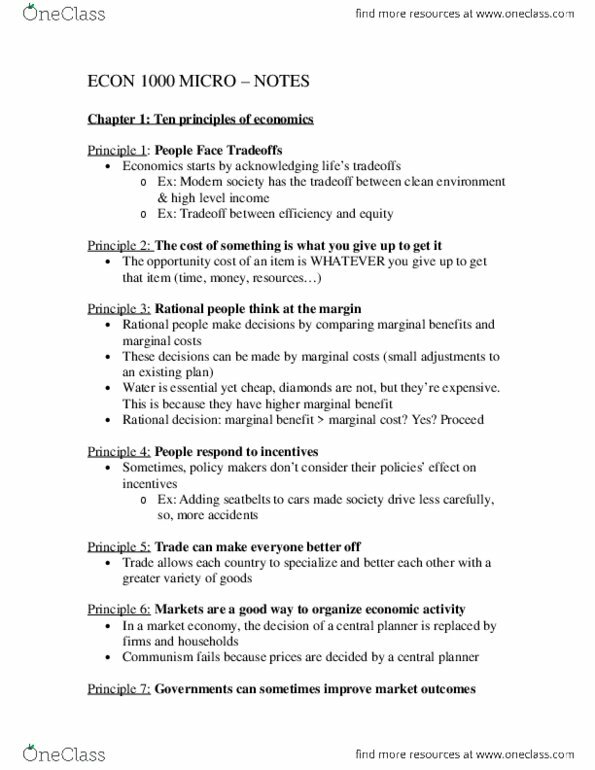 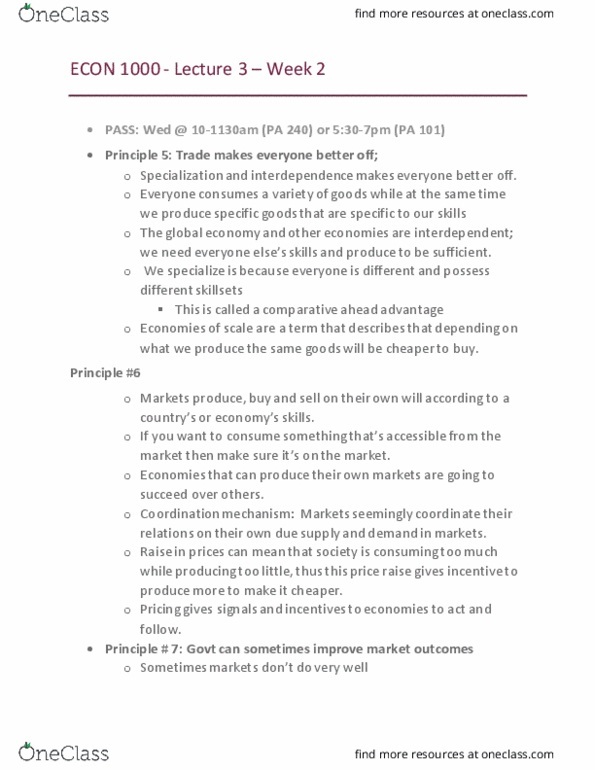 Principle 1: people face tradeoffs: economics starts by acknowledging life"s tradeoffs, ex: modern society has the tradeoff between clean environment. 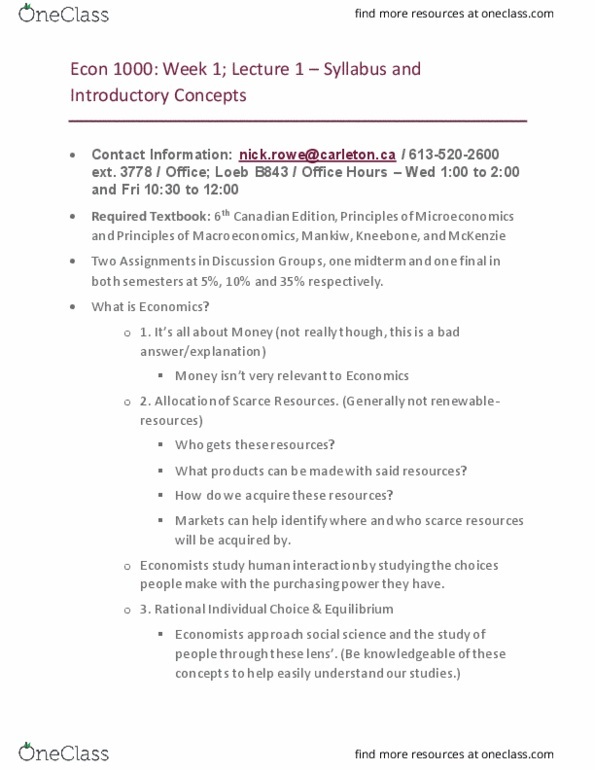 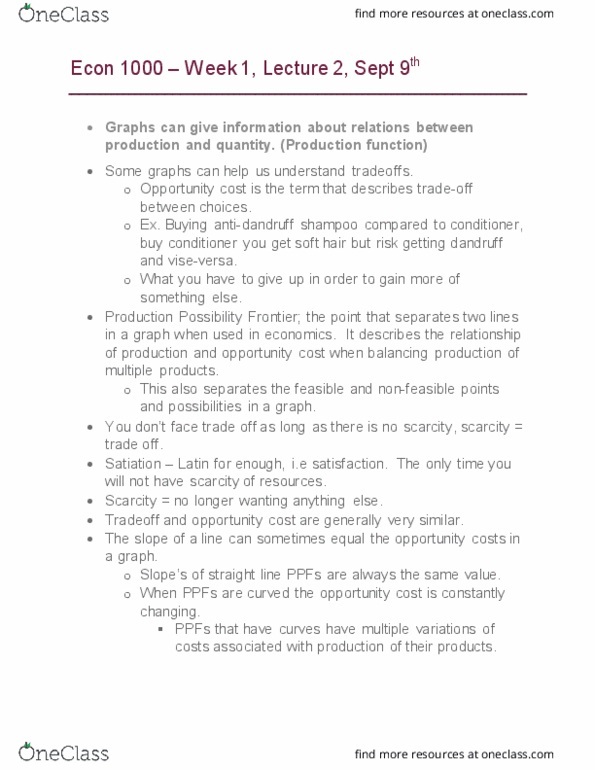 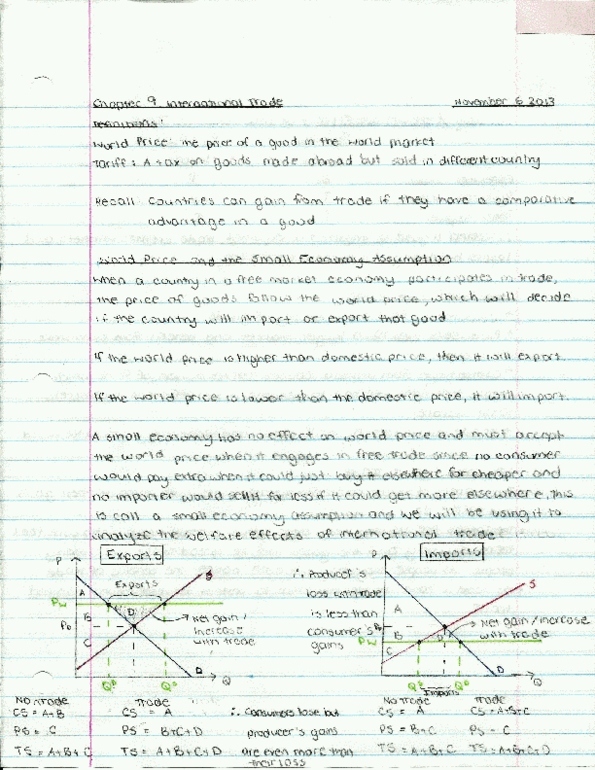 Econ 1000 week 3 lecture 6. 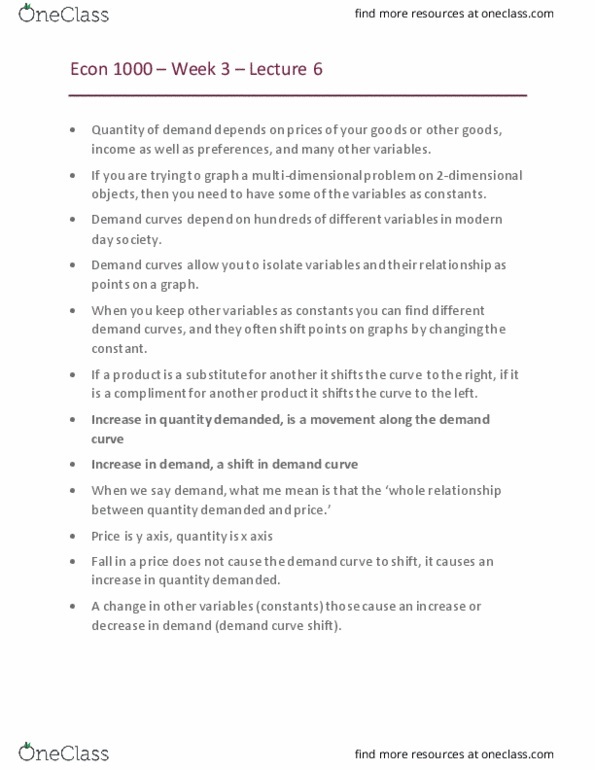 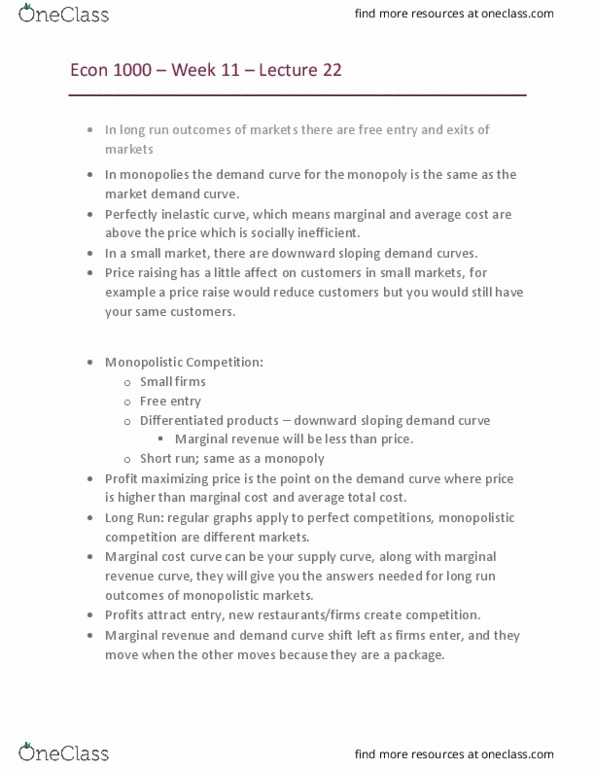 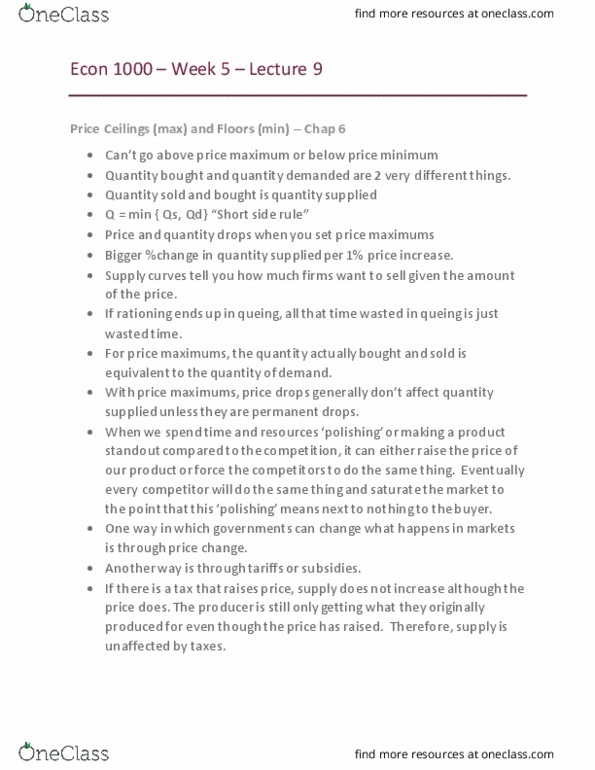 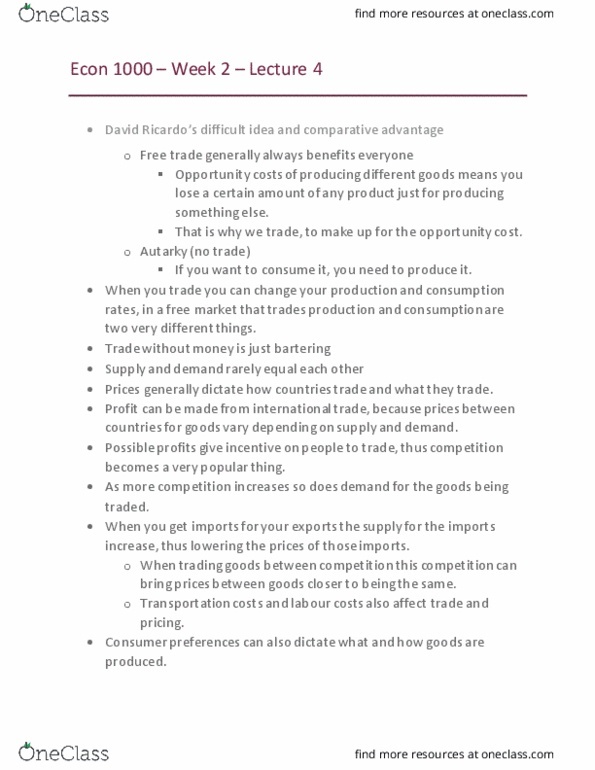 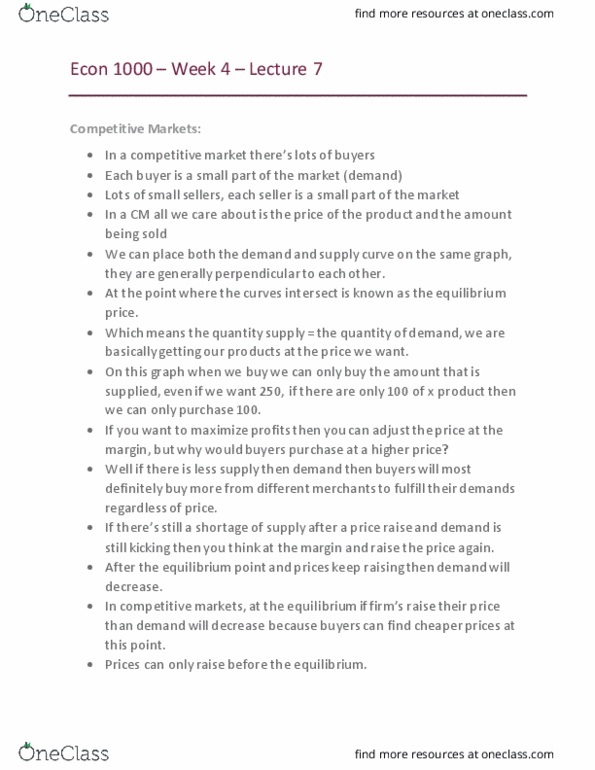 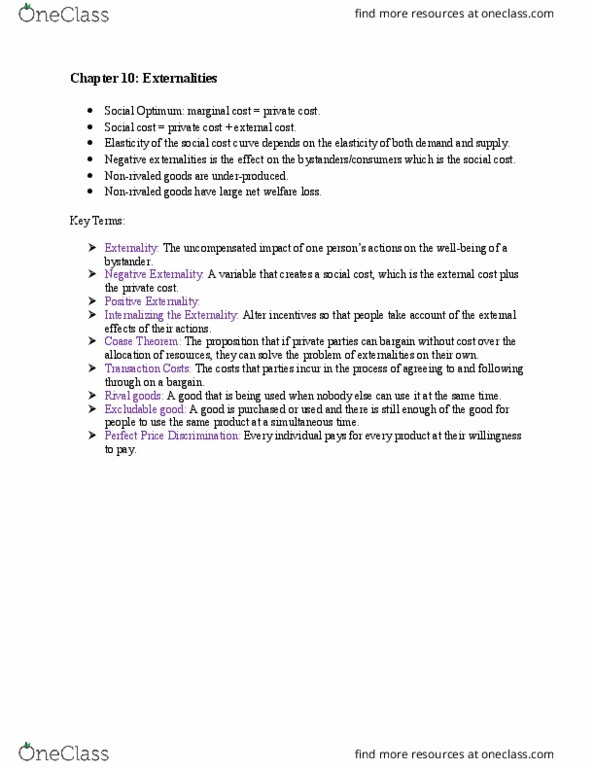 Quantity of demand depends on prices of your goods or other goods, income as well as preferences, and many other variables.